The state of Ohio has enacted strict laws opposing drug abuse of any kind. Ohio has some of the most complex and strict drug laws in effect in the country. If you are facing drug charges in Ohio, you may have a tough legal battle on your hands. Attorney Adam Burke is a committed advocate for men and women facing drug charges in the State of Ohio. 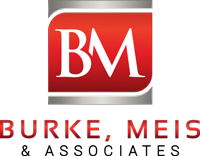 Contact Burke, Meis & Associates now for you free consultation at (614) 280-9122. In Ohio, you can be charged with possession of drug paraphernalia (also known as possession of drug abuse instruments), drug tampering, illegal manufacture of drugs in the state of Ohio, trafficking drugs, and possession of a controlled substance. Depending on the level of the offense, you may be sent to jail or prison for a period of anywhere between 180 days to 10 years for each offense. You will also have to pay fines ranging between $1,000 and $20,000. Also, almost all convictions related to drug charges will cause you to lose your driver’s license for a period of 6 months to 3 years. Your professional license, if you have one, will also be suspended for a period of time. Sometimes you may have to face charges from both the state of Ohio as well as the federal government. These cases are typically very challenging and complex. Here is a list, followed by an explanation, to help you better understand the various ways you may face drug charges in Ohio. In the state of Ohio (and elsewhere), a drug is synonymous with a controlled substance. A controlled substance, by definition given in the law, can be a drug, a mixture, a compound, or a similar substance that is invariably dangerous to the human body (in some cases when taken beyond a certain limit). In the state of Ohio, following the federal government, a drug is classified in to 5 sections or schedules. Schedule I drugs are said to be the most harmful, while schedule II drugs are slightly less so. Schedule III, schedule IV, and schedule V drugs are typically the least harmful. They also have certain medicinal properties and are used in medicine, but are nonetheless harmful when ingested in large quantities over an extended period of time. Example of schedule I drugs include Marijuana (also referred to as Cannabis) and Heroin. Possession of the controlled substance is considered to be a major offense by the state and is judged as a felony. You don’t have to be caught with drugs to face drugs charges – it is enough to be caught with a hypodermic needle. In the state of Ohio, any equipment, products or materials that can be used to introduce a drug into the human body are treated as drug paraphernalia. Drug paraphernalia is also known as drug abuse instruments. Possession of drug paraphernalia is as of now, because of the introduction of new laws, a minor misdemeanor at the most. If you are lucky, it is possible to get off with just supervised probation. However, if you have sold the paraphernalia to someone, or if you were caught with it near juveniles or near a school, the severity of the crime committed goes up in the eyes of the law and the state will charge you accordingly. Some common examples of drug paraphernalia include a drug manufacturing kit and a hypodermic needle. Possession of drug paraphernalia is considered a minor misdemeanor in Ohio, as long as you have not sold the paraphernalia to anyone. As a minor misdemeanor, it is possible to escape with probation if you have the help of a lawyer to defend your case. Mixing a drug with another, or changing the packaging of a drug are examples of drug tampering. The state considers drug tampering to be a major offense. Drug tampering is treated as a felony of the third degree. A third degree felony carries with it a prison term of 1 to 5 years, and a fine of up to $10,000. Make additions, change the packaging of the container in which the drug has been placed, or alter the packaging or container in any way. If the tampered drug happens to harm a person, the penalties incurred are far more severe. Drug tampering is considered to be a third degree felony in the state of Ohio, and if distribution is involved, you are likely to be charged with a second degree felony. It carries a harsh prison sentence and fines. In Ohio, illegal manufacture of drugs is a major offense, and carries big penalties and fines. According to the law, if you grow marijuana, or manufacture another similar controlled substance, or even help someone grow or manufacture a controlled substance, you are guilty of illegal manufacture of drugs. Some of the most common illegally manufactured drugs in Ohio include heroin and cocaine and, of course, marijuana. In the case of illegal manufacture of drugs, you may be tried under both federal as well as state law. Typically, illegal manufacture of drugs involves distributions of said drugs. Because of this, you may be charged with a 1st degree felony at worst, and a 2nd degree felony at best. You can expect even harsher sentencing if you are tried by the federal government. Trafficking in drugs, like illegal manufacture of drugs, is a major offense in the state of Ohio. By law, you are considered to be trafficking drugs if you knowingly sell or offer for sale a controlled substance and/or prepare a controlled substance for transport and distribution of any kind. You will be charged with either a plain trafficking in drugs charge or an aggravated trafficking in drugs charge, depending on the nature of the controlled substance you are selling. Regardless of the type of charge you are given, trafficking in drugs is considered a felony in the state. Again, trafficking in drugs is a serious crime in Ohio. If you are suspected to have trafficked in drugs, you will be charged with having committed a 4th degree felony at best and a 1st degree felony at worst. Drug charges are almost invariably treated as felonies. Because of this, if convicted, you will be given a sentence depending on the degree of the felony you have committed. The least severe crime you can commit is a 5th degree felony. For this, you will have to spend 6-12 months in prison, and shell out fines of up to $2,500. The most severe crime is the 1st degree felony, which carries with it 3 to 10 years in prison, and fines of up to $20,000. First-time drug offenders are likely to escape with a comparatively light sentence. If you are charged as a repeat drug offender, you will be given additional penalties in addition to the usual ones. If you are convicted of a 1st degree felony, you may well be given the tag of a major drug offender and have to serve an additional prison term. As mentioned above, you stand to lose your driver’s license for a period of 6 months to 3 years. You also may lose your professional license for a period of time. The state of Ohio has molded its laws after the Federal drug abuse laws. The Controlled Substances Act, also known as the Comprehensive Drug Abuse Prevention and Control Act, was passed by the Federal government in the 1970s. This act was the one that classified drugs into 5 schedules. Ohio has followed these same classification schedules. Typically, federal drug crimes are judged very harshly, and carry mandatory prison sentences and fines. Comparatively, drug crimes are judged far less harshly in Ohio, and it is possible to end up with a much lighter sentence and fine here than what would be handed to you by the federal government. A person caught selling schedule I drugs will receive the most severe penalty, while a person caught selling schedule V drugs will receive the least severe penalty. Additionally, the circumstances surrounding the suspected crime are the deciding factor on what degree of felony you will finally be charged with. If you are suspected of having sold drugs to juveniles or near a building that juveniles frequent, like schools, you will be considered to have committed a higher degree felony, regardless of what schedule controlled substance(s) you were carrying. If you were caught with drugs that weigh more than a certain pre-defined quantity (a bulk quantity), you will again be slapped with a higher degree felony charge. If your drugs harm someone, your case will be judged harshly. Ohio law has not changed much when it comes to drugs. While the battle to legalize drugs like marijuana rages on, the state comes down on drug abuse as hard as it ever did before. To best thing you can do to fight drug charges in Ohio and protect yourself is to obtain competent legal counsel as soon as possible. The longer you wait, the more difficult it will be for the lawyer to help you. You should also be aware of your rights and use them to protect yourself to the best of your ability. You should also remember to just remain silent and let your lawyer talk to the police for you. You may wonder why the state has so many strict drug laws even today, and why you might know so many people who have been charged with drug abuse. The reason is that Ohio has recorded an alarming increase in drug related deaths in recent years. Also, the state has been forced to cut down on its drug funding, making it harder to prevent drug abuse in the state. Therefore, it is unlikely that the state will change its strict laws very soon (though the laws dealing with possession of drug paraphernalia have changed, but they remain the only ones to do so). In this environment, even if you happen to commit a first time offense, it is likely that the judge will take a dim view of your situation. An experienced lawyer to defend your drug charge will be invaluable to your case. If your finances cannot take the strain of hiring the services of a lawyer, the state government has provisions to assign you a state-funded legal attorney to help you fight your case. The administration of Ohio pours a certain amount of money each year into drug funding. Drug funding is funding meant to tackle rising drug addiction amongst the citizens and prevent drug abuse. Some of the funding is used to outfit law enforcement in the counties. The remaining funding, is used to run alcohol and drug rehab centers, as well as to help certain citizens who are not financially well off to get over their drug addiction by providing much needed support. Each county also assigns a portion of the tax payer’s money to drug funding. Sometimes you will be required to enroll yourself into a drug rehab center if you are convicted of any drug charges, depending on the judge’s view on the matter, as part of a drug treatment plan to help you overcome your addiction. If your finances are not up to it, you can rely on state funding to help you out. A conviction for drug abuse in Ohio is a permanent stain on your record, and it will make it difficult for you to find future employment. It is imperative that you engage the services of a good lawyer to help you with your case and reduce the severity of the likely negative fallout as much as possible. Contact Attorney Adam Burke now at (614) 280-9122 for your free consultation.